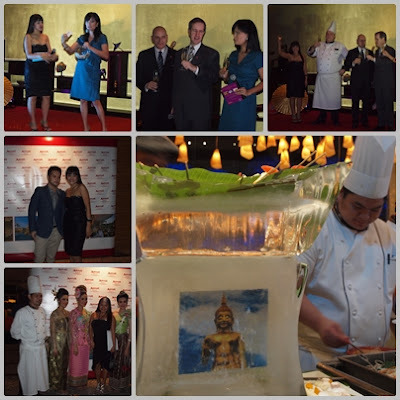 For the second time around Thai Kingdom Come is back at Marriot Manila for whole month of July return to the land of smiles. Taste the Thailand's five distinguish taste like -sweet, sour, salty, spicy, and bitter perfectly prepared by JW Marriott chefs Thanatorn Krobsuay and Sutthipong Sirikanchittawon. 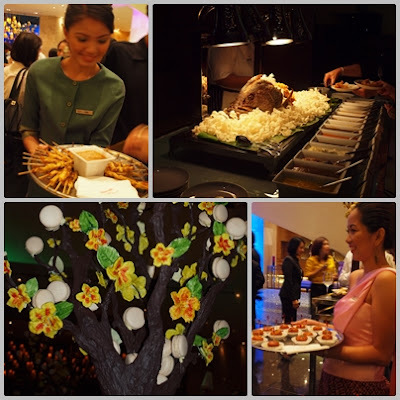 I had a chance to witnessed the launched of Thai Kingdom Come at Marriot Manila hosted by Daphne Osena-Paez and taste the dish which I felt my palate tickling sensation filled with exquisite flavors. Like for example the Green Curry with Chicken (Gaeng Kiew Waan Gai) its was spicy but you can totally taste the coconut milk blended exactly to the tenderness of the chicken. Also the Sweetened Sticky Rice with Mango, the rice not too sweet yet it gives absolute delight together with mango aahhhh..that was 2 of my favorites among Thai foods that was offered during the event. They also prepared production numbers performed like Thai dance (Ram Thai) and the Thai boxing (Muay Thai) which was presented magnificently because I like the costumes and the way they moved their arms and body. If you want to experience and learn to cook basic three-course Thai food on July 12 and 19 with JW Marriott sous chef Thanatorn Krobsuay at P1,000 net. P1,750 net try the light and healthy selections of salad most especially the Thai Papaya salad, pad thai, curry dishes, spring rolls, grilled shrimps, reef,or chicken, tom yam goong, stir fried prawns in sweet and sour vegetables, exotic foytong for dessert and more. You can also relax right after just visit the Quan Spa for a holistic Thai foot massage at P1,650 net. 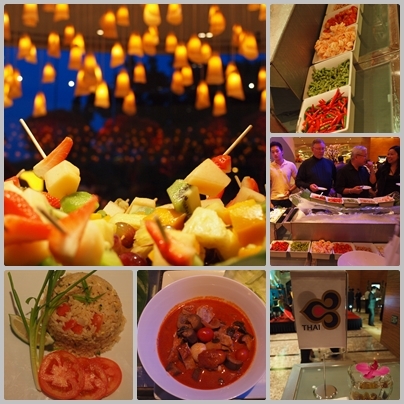 Im sure you will be satisfied with the dishes because it is certified tasty but not heavy for the tummy. 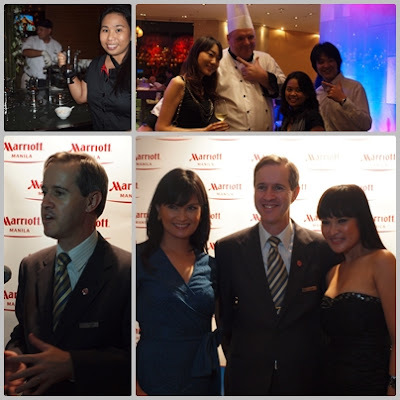 Not only that Marriot Manila also gives all diners a chance to win three days and 2 nights stay in one on the Marriot properties in Bangkok.